UGANDA, Kampala- Cabinet is discussing ways through which it can lower power tariffs to five US cents per kilowatt for small scale industries engaged in value addition. Greedy energy Money Lenders are setting conditions to refinance Bujagali dam as if Uganda does not have Solar energy to exploit! The government has run into headwinds in its move to refinance Bujagali hydropower plant. Prospective lenders want to address five issues for them to refinance the hydropower plant. In the first quarter of this year, the government engaged the African Development Bank (AfDB) and the International Finance Corporation (IFC) to restructure and refinance Bujagali Bujagali hydropower plant’s loans. One, they want Bujagali Energy Limited (BEL), the operator of the plant, exempted from corporation tax for the next 15 years. The government had granted the operator a five-year waiver, starting this financial year. Two, the government should agree to including in Bujagali’s total engineering, procurement and construction costs the $83 million (Shs295 billion) the company reportedly incurred due to Uganda Shilling/United States dollar exchange rate fluctuations. The Auditor General had disallowed this. Three, they want assurances that Uganda will sell its excess energy and use the money to clear the refinancing costs. Four, given different government officials’ statements about end-user tariffs, the lenders would like to be assured of the Electricity Regulatory Authority (ERA’s) independence. ERA sets the end-user tariffs, which it does after computing the generation, transmission and distribution bodies’ reasonable costs. Five, the lenders are concerned with the government’s adherence to the Kalagala Offset pact. President Museveni has repeatedly attributed Uganda’s ‘high’ end-user power tariffs to the cost of power produced by Bujagali Energy Limited, which is currently at US dollar cents 12 (Shs426) per unit, while the power generated by Eskom goes for just one dollar cent (Shs35.6). Bujagali alone generates up to 46 per cent of the electricity on the national grid, with the rest generated by up to 10 plants. The sheer enormity of the power contributed by Bujagali means that the average rate is pushed up. Bujagali’s power is expensive because the company has up to the year 2032 to repay the international financiers which financed the dam’s construction. The financiers include International Finance Corporation (IFC), the European Investment Bank (EIB), the African Development Bank (AfDB), Nederlandse Financierings-Maatschappig voor Ontwikkelinsslanden N.V. (FMO), Société de Promotion et de Participation pour la Coopération Economique (Proparco)/ Agence Française de Développement (AFD), DEG - Deutsche Investitions- und Entwicklungsgesellschaft mbH (DEG) and kreditanstalt für wiederaufbau (KfW). Barclays/ABSA Capital and Standard Chartered Bank provided the commercial debt under an International Development Association (IDA) Partial Risk Guarantee. BEL has to pay a weighted average interest rate of six per cent for the debt equity used to build the plant. The power generator’s tariff also factors in the return on equity, which is at 19 per cent. Uganda could choose to use more of Eskom’s electricity to avoid BEL’s expensive power, it can be argued. But that would not solve the problem because Uganda has to pay BEL a capacity charge. That is, regardless of whether or not the Uganda Electricity Transmission Company Limited (UETCL) takes up BEL’s power, it has to pay BEL lest the company turns off supply – and sue for breach of agreement. To get around this complex problem, President Museveni has supported the refinancing of Bujagali. One measure to lower the tariff would be to exempt BEL from paying corporation tax. The company, which has not been paying corporation tax since its commissioning in 2012, was, from the start of this financial year, supposed to start paying the tax. But Parliament in May passed an Income Tax Amendment Bill which provided for the waiver. The government will, therefore, forfeit Shs80 billion in corporation tax from BEL over the next five years. The waiver, though, will ensure the power generator’s tariff does not increase from US dollars 12 cents (Shs426) in 2017 to US¢13/ Shs468 in 2018, and dollar cents 15 (Shs533) in 2022. Finance minister Matia Kasaija told Saturday Monitor on Wednesday that the new lenders requested for a tax holiday. He said the government is considering a corporation tax holiday for BEL, and that it could take effect as early as October. Mr Kasaija added that the other “sticking issue” he is aware of is capital gains tax. Though he did not mention it, it is probable he was speaking of Sithe Global Power LLC affiliate SG Bujagali Holdings Limited (SGBH’s) plan to sell its 49, 750 shares in BEL to Norwegian company SN Power AS. To that end, BEL said in April 2016 that SGBH and SN Power AS had met President Museveni to inform him of the deal. Section 11 of BEL’s licence requires BEL to first seek ERA’s approval to transfer shares. Should the SN Power AS apply to ERA to sanction the transfer of shares, and the latter sanctions it, then SGBH would have to pay capital gains tax. “We are trying to find out who [between the Uganda Revenue Authority and the lenders] is right,” Mr Kasaija said. He said the government would go with the right position on the matter of capital gains tax. The government hopes to have concluded the refinancing arrangements by October this year. But unless the President takes a political decision, both parties have to wait until May when Parliament will once again pronounce itself on next fiscal year’s tax policies. There is a thinking that the same way Parliament agreed to a waiver of corporation income tax, it could also vote to reinstate it. In case it reinstates in 2021, BEL’s generation tariff would increase to, according to the government’s projections, 15 US dollars cents (Shs533) in 2022. Such increases would mean more complaints by the government about BEL’s tariff. The prospective lenders might not want to be blamed for something they could have avoided by asking for a 15-year waiver. As to the $83 million, the prospective refinancers want the government to unequivocally pronounce itself on the matter. An Aga Khan Fund for Economic Development official, who asked not to be named because he was not authorised to speak on the matter, said the prospective refinancers are annoyed that the issue is taking long to be resolved. Should the government go by the Auditor General’s advice to, the issue could be up for arbitration, a ‘route’ the Attorney General’s Chambers would not want to take. 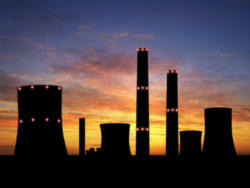 About the demand for power, the government says there are many projects that will consume the excess energy. In the government’s projections, Osukuru phosphates project in Tororo District will take 200MW, the Standard Gauge Railway will consume 300MW and Namanve Industrial Park will take up 107MW. Other projects that the government anticipates will need a lot of power include Mukono Industrial Park (90MW), Luzira Industrial Park (60MW), Iganga Industrial Park (43MW) and rural electrification which is expected to require 130MW. Urban growth centres are also anticipated to require an additional 50MW, power trade will take up 250MW, while the mining sector will consume 300MW and other users will need 100MW. That is a total of 1, 630MW in anticipated new demand for power, which when added to the current installed generation capacity totals 2, 400MW. But the lenders are apprehensive, saying there are no feasibility studies that show the these projects listed will indeed consume as much. According to Uganda’s major electricity distribution company Umeme, domestic demand will close this year at 795MW, up from 541.39MW the previous year. Umeme projects that in 2018, the demand will be 877MW, 1, 065MW (2019), 1,193MW (2020) and 1, 364MW in 2021. It does not help matters that Kenya, Tanzania and Ethiopia, which Uganda could realistically have sold its power to, are also undertaking very large power generation projects. That leaves countries like the Democratic Republic of Congo and Rwanda as the possible markets. But these two, going by the current figures, import far less power from Uganda than Kenya. And even if all the excess capacity were to be sold, with the commercial production date for crude oil unknown, Uganda will have to use the money from the Karuma and Isimba power plants to repay the $2 billion (Shs7.1 trillion) loan it got from China’s Export Import Bank to build the two power plants. That will leave less for refinancing Bujagali, whose new lenders would also have to be repaid within 15 years. In regard to the independence of the regulator, it does not help matters that the President now and then talks about lowering the end-user tariffs. On this cue, many Cabinet ministers, too, call for the lowering of tariffs. The lenders fear that with time the pressure could make the regulator cave in. They are perhaps justified in their fear. In November 2003, for instance, the then Energy minister Syda Bbumba vetoed plans to increase the end-user power tariffs for domestic consumers from Shs170 to Shs195 per unit. Her decision came on the heels of an application of the Uganda Electricity Distribution Company Limited (UEDCL), which was at the time headed by Ms Irene Muloni, to increase the tariff to cover losses UEDCL had incurred. Ms Muloni is now Energy minister. Ms Bbumba reasoned then that ERA had not consulted the government. Three years later, when the regulatory authority was slated to review power tariffs, President Museveni cautioned the authority. Mr Museveni said then that “announcements of this kind should be politically managed”. Investors want certainty when it comes to recouping their investment. Lenders would even lend at a lower interest rate where they are sure the borrower will repay the loan in the given time. Regarding the Kalagala Offset pact, the government committed to protect the natural habitat and environmental and spiritual values ecosystem of Mabira Central Forest Reserve, Kalagala Central Forest Reserve and Nile Bank Central Forest Reserve. In return, according to the Kalagala Offset Sustainable Management Plan (2010 – 2019), the IDA/World Bank committed to be a guarantor to Uganda under the “IDA Guarantee Facility Agreement’ between Bujagali Energy Limited and financing institutions (“IDA Guarantee lenders”) and ABSA Bank Limited as the Agent for the IDA Guarantee Lenders amounting to $115 million (Shs409 billion) to support a portion of the financing of the Bujagali project. Uganda agreed to set aside the Kalagala Falls site to protect its natural habitat and environmental and spiritual values in conformity with sound social and environmental standards. It also agreed to carry out tourism development activities at the site in conformity with sound social and environmental standards. Uganda committed not to develop power generation projects that could adversely affect the ability to maintain the Kalagala Falls. With the construction of Isimba hydropower projects, this has been compromised. During an interview with this newspaper in August 2015, Mr James Baanabe, the commissioner of Energy Resources at the ministry of Energy, said some forest area would be affected with trees submerged, “but those ones we can plant elsewhere”. This has yet to happen. It is still not definitively clear whether the government will go through with refinancing Bujagali. In the alternative, BEL could be left to operate the 250–megawatt hydropower plant for 25 more years until 2042, after which it will surrender it to the government for a nominal $1. Some argue that the government should wait for the natural termination in 2042, saying refinancing the plant would scare away potential investors the government would want to attract to Uganda. Bujagali hydropower plant generates 46 per cent of the power on the national grid. $902 million – the amount, according to BEL, spent to construct the hydropower plant. The energy minister, Irene Muloni, said with large power dams currently under construction, Uganda’s electricity generation capacity will more than the double the current 950MW by next year. The four solar power plants that were set up in the last financial year are generating 32.7MW of renewable energy. The plants include the 10MW plant in Soroti, Muvumbe 6.5MW, Siti I6.2MW and another 10MW solar power generation facility in Tororo. According to the ministry, the construction works at the 600MW Karuma Power Dam have progressed to 64%. The largest hydro power plant Uganda is building is expected to be commissioned in December 2018. Over 75% of the construction work at the 183MW Isimba hydro power dam is complete, and the plant is expected to come on stream by August 2018. Over 60% of the construction work at the 83MW Agago-Achwa plant is complete. It is also expected to be switched on in October 2018. The additional geotechnical study for the 44.7MW Muzizi hydropower project has been done ahead of the start of construction. There are about 10 medium size hydropower dams the Government intends to develop in the next few years. The construction of some of the medium hydropower projects has started. Altogether, the medium hydropower dams will generate over 100WM. “The power production capacity of Uganda will more than double by end of 2018. We are going to have more power to connect Ugandans. We also have an arrangement to take the power to other countries in the region,” Muloni said. It makes economic sense to install solar panels all over the roofs of houses of interested citizens in Uganda, so that as these panels generate solar energy it is sold to UMEME. Such a sale will certainly reduce the cost of electricity in the equatorial state of Uganda. It seems UMEME does not like this technological proposition because it breaks UMEME's monopoly in the energy market. That is why the majority of the electricity consumers in this country do not use electricity to the maximum benefit because it is very expensive. Such a high production of electricity in Uganda is not beneficial to the citizens of Uganda. New figures published by solar industry firm last week revealed that China has exceeded its 2020 target of 105GW of installed solar capacity, after new builds in June and July pushed it up beyond 112GW. Solar power is enjoying a sunny 2017 in China, after the first half of this year saw capacity increased by 24.4GW, dwarfing similar efforts in Europe, and cementing China’s status as the world’s leading solar nation. China is not planning to rest on its laurels either. Officials have recently tweaked its 2017 forecast for new solar installations and figures now suggest that total new capacity for this year could reach 45GW. In contrast, in 2016 Germany’s total capacity was 41.1GW. Renewable energy groups have called on Europe to be more like China and strive to be number one in the sector. SolarPower Europe association urged the EU to increase the current 27% renewable energy target for 2030 to 35%. The association’s recent Global market outlook concluded that only a 35% target will maintain the impetus for the renewable industry. It also estimated that the bloc will struggle to hit the current 27% goal unless ambitions are raised. China’s ambitions are admittedly impressive. 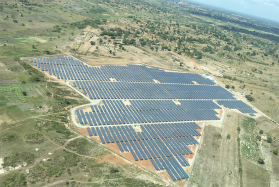 It already boasts the largest solar farm in the world, which measures in at over 30 square kilometres. 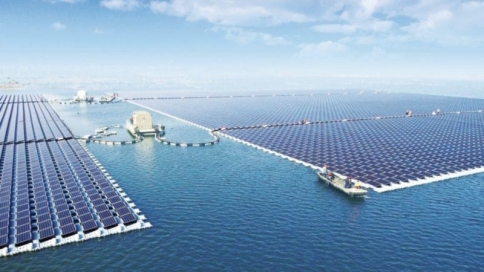 It also recently opened the world’s largest floating solar farm, which is positioned over an old coal mine. But once capacity and landmark projects are excluded from the equation, the Chinese solar sector does have significant problems. Although China hit its 2020 target, only 1% of its energy demand is satisfied by solar power. Coal still reigns supreme in its energy mix. There is also the issue of subsidies. Feed-in-tariffs, paid to solar companies to generate power and make the market more attractive, have often arrived late, hurting the bottom lines of many of those energy firms. The modern buildings springing up all over the country can put up solar panels and since they are already connected to the UMEME GRID, modern electric converters are able to transfer solar electricity to hydro-electricity so that all these African houses can sell electricity to the UMEME infrastructure stationed on their buildings. A house occupier receiving a UMEME hydro-electricity bill worth 150,000 Uganda Shillings can end up paying only 30,000 Uganda Shillings per month. The energy authority in this tropical country do not seem to like this sort of energy saving technology!